・ Bybee, Joan L. Morphology: A Study of the Relation between Meaning and Form. Amsterdam: John Benjamins, 1985. In a few rare cases (Shakes., Hudibras) stressed 'contemplate in 16--7th c.; also by Kenrick 1773, Webster 1828, among writers on pronunciation. Byron, Shelley, and Tennyson have both modes, but the orthoepists generally have con'template down to third quarter of 19th c.; since that time 'contemplate has more and more prevailed, and con'template begins to have a flavour of age. This is the common tendency with all verbs in -ate. Of these, the antepenult stress is historical in all words in which the penult represents a short Latin syllable, as ac'celerate, 'animate, 'fascinate, 'machinate, 'militate, or one prosodically short or long, as in 'celebrate, 'consecrate, 'emigrate; regularly also when the penult has a vowel long in Latin, as 'alienate, 'aspirate, con'catenate, 'denudate, e'laborate, 'indurate, 'personate, 'ruinate (L. aliēno, aspīro, etc.). But where the penult has two or three consonants giving positional length, the stress has historically been on the penult, and its shift to the antepenult is recent or still in progress, as in acervate, adumbrate, alternate, compensate, concentrate, condensate, confiscate, conquassate, constellate, demonstrate, decussate, desiccate, enervate, exacerbate, exculpate, illustrate, inculcate, objurgate, etc., all familiar with penult stress to middle-aged men. The influence of the noun of action in -ation is a factor in the change; thus the analogy of ,conse'cration, 'consecrate, etc., suggests ,demon'stration, 'demonstrate. But there being no remonstration in use, re'monstrate, supported by re'monstrance, keeps the earlier stress. ・ Danielsson, Bror. Studies on the Accentuation of Polysyllabic Latin, Greek, and Romance Loan-Words in English. Stockholm: Almqvist & Wiksell, 1948. 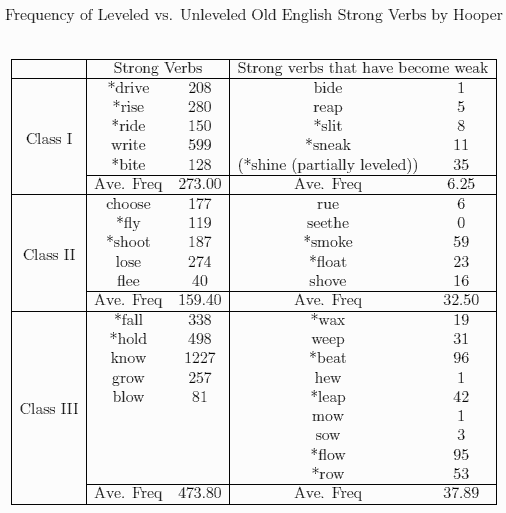 The words' frequencies are based on present-day English, but the general pattern of relative frequencies probably holds for the English in our data base (1755--1993) as well. For example, I would be very surprised if the 3-syllable verbs with CELEX frequencies over 100 --- concentrate, demonstrate, illustrate, contemplate, compensate, designate, and alternate --- were not also much more common in 1755 than those with frequencies of 0 --- altercate, auscultate, condensate, defalcate, eructate, exculpate, expuergate, extirpate, fecundate, etc. In analogical leveling, the token frequency of the unit undergoing the leveling and its degree/rate of leveling tend to show an inverse correlation, where the "unit" is defined according to the degree of fusion of the form undergoing the leveling with its neighboring morpheme(s). If the form is highly fused with the neighboring morpheme, the whole (morpheme, form) combination counts as a "unit" whose frequency is to be measured. If it is not, the form alone counts as a "unit," and its own frequency suffices as a correlate of the rate of leveling. ・ Matsuda, Kenjiro. "Dissecting Analogical Leveling Quantitatively: The Case of the Innovative Potential Suffix in Tokyo Japanese." Language Variation and Change 5 (1993): 1--34.